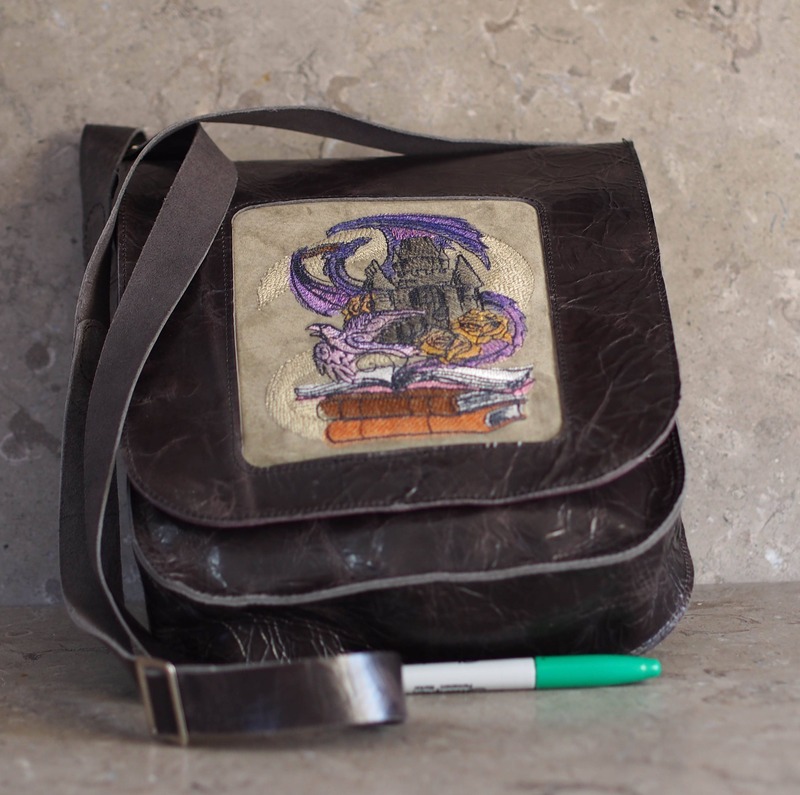 Tomes of Imagination Leather Satchel--sale! 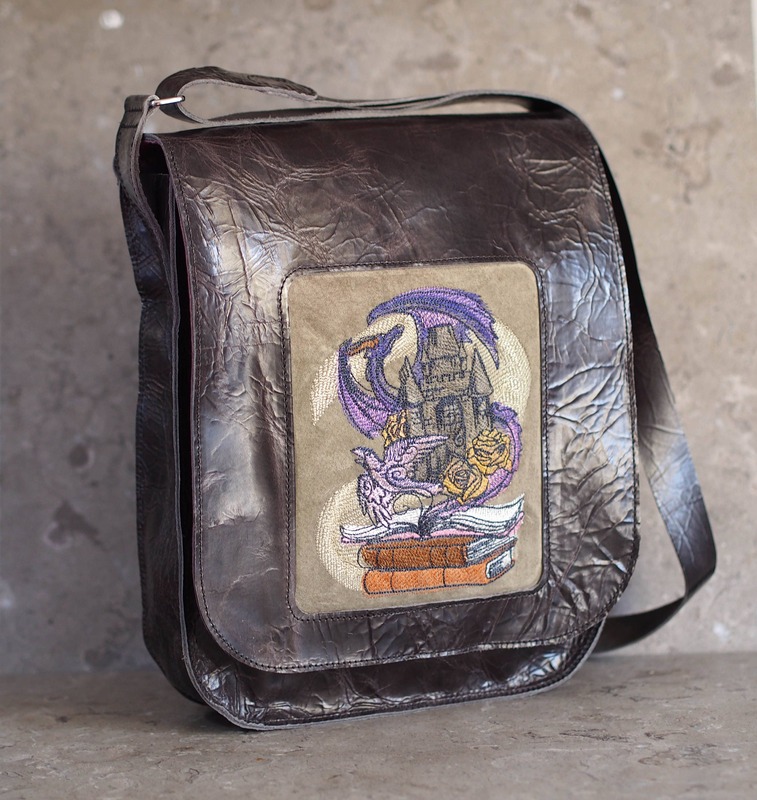 "Tomes of Imagination" leather satchel has a dragon, castle, books & more machine embroidered directly onto a grey/light olive pigskin suede and is set into a frame of a "rain coat" finish cowhide for the flap of the same leather body & strap creating a tall satchel/messenger bag. 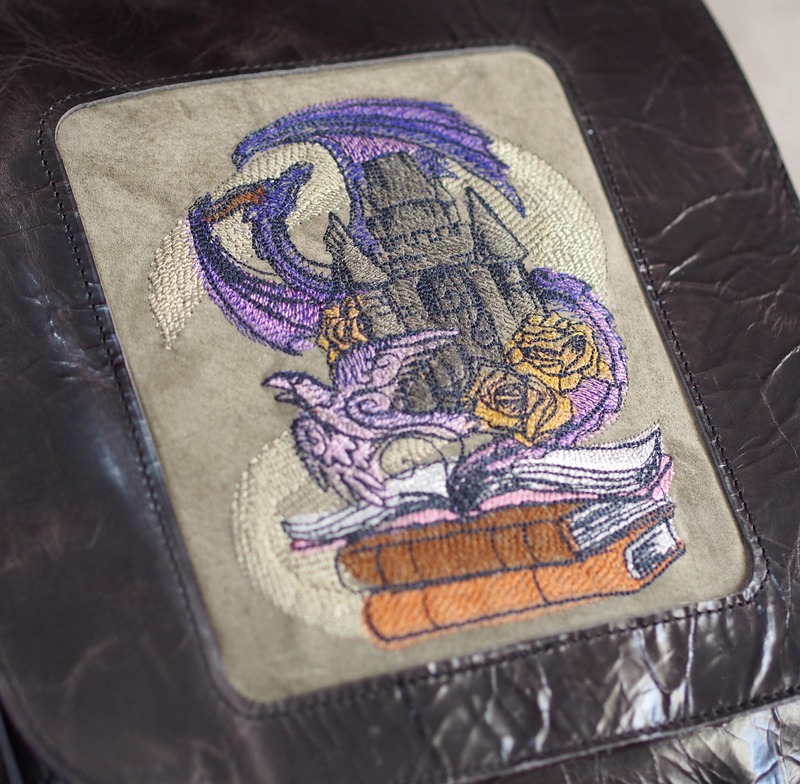 The embroidery, "Tomes of Imagination" is an Urban Threads design, and has a dragon in shades of purple encompassing a castle, with a pink dove, orange roses, all swirling out of a stack of books. 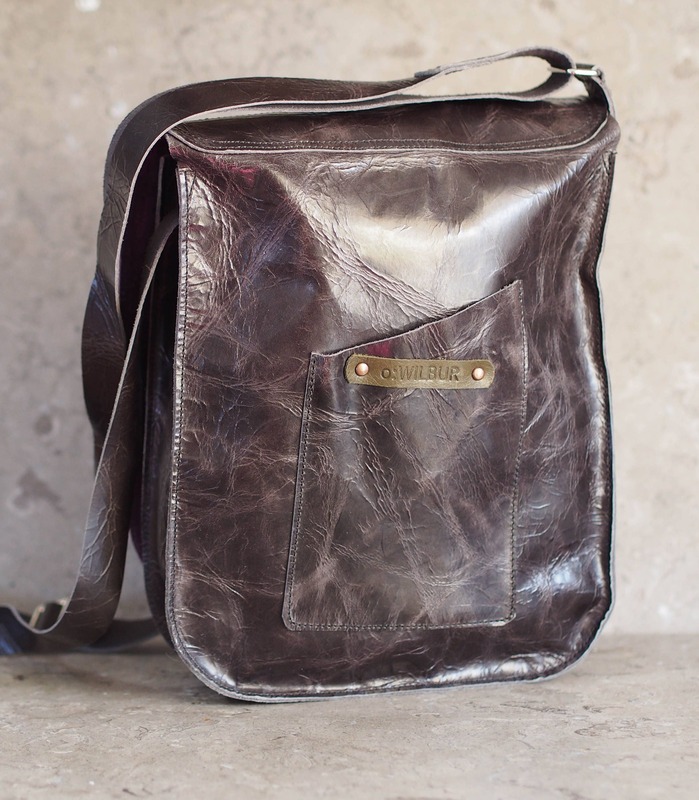 The bag leather is a 3-4oz cowhide, with a smooth protective finish over its distressed effect, so it sheds water, earning its moniker of "rain coat" leather as my source has named it. The color is a brownish-grey, and is through dyed grey, as the sueded underside and edges reveal. 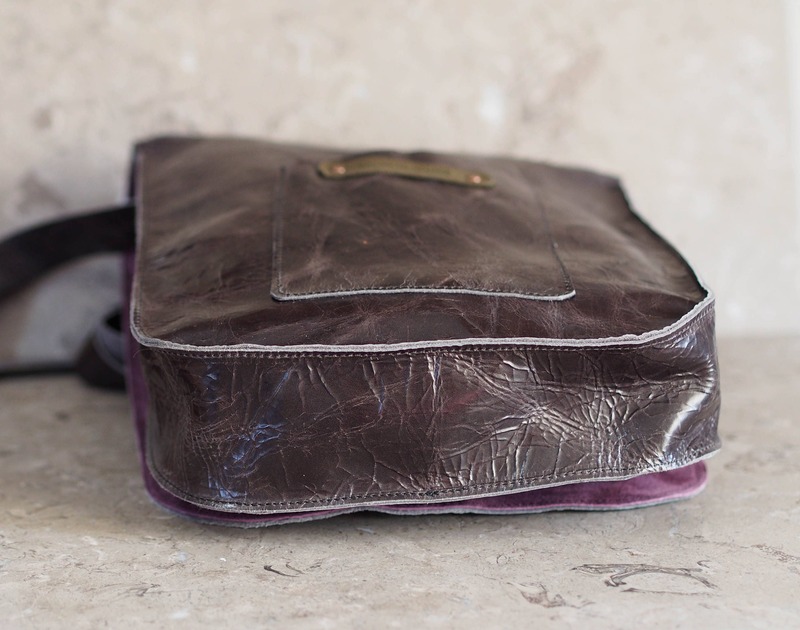 The bag holds its shape and stands upright on its own, but the leather is supple and can be flattened down. It's 9" wide, stands 12" tall, and the gusset is 2.5". The back pocket is 4.5" across, and is angled from 5.25" to 6.5" high, so it can fit most newer generation phones. The logo badge is held on either end with copper dome rivets. 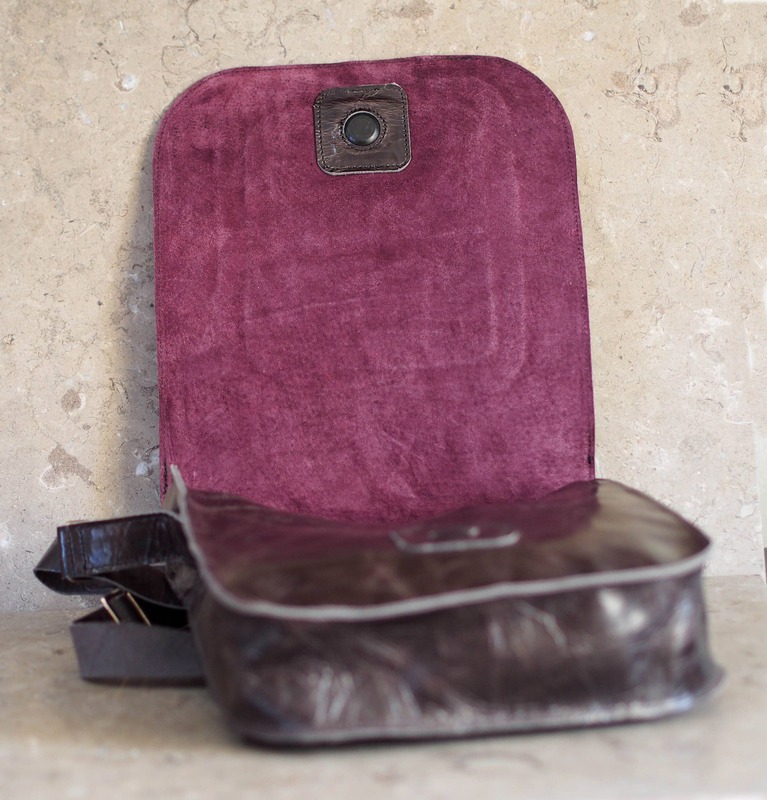 The underside of the flap is lined with wine colored pigskin suede after the embroidery was secured to the flap "frame" with glue and stitching. Black thread was used for the edge stitching as well as the bag construction. 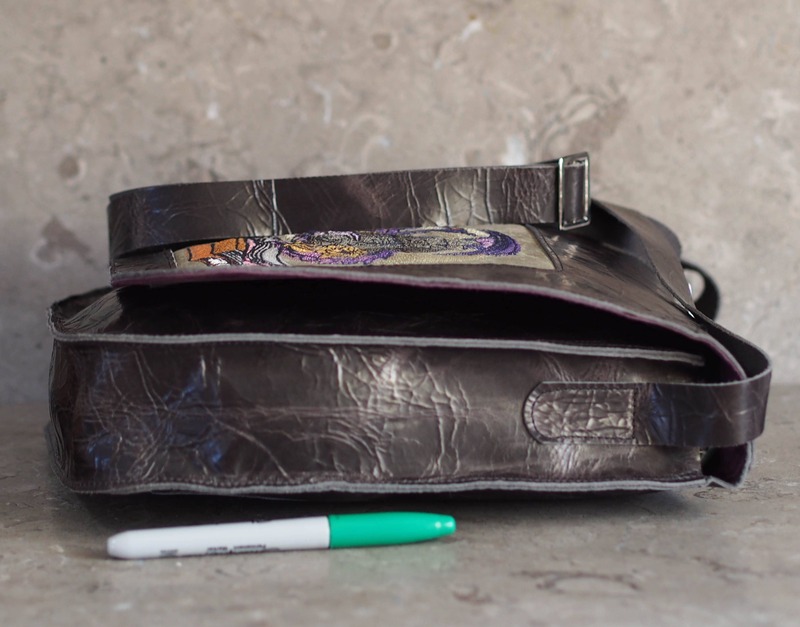 Magnetic snaps are sewn to leather and applied to the flap lining and the bag front to secure the flap closed without any visible closure taking focus away from the embroidery. 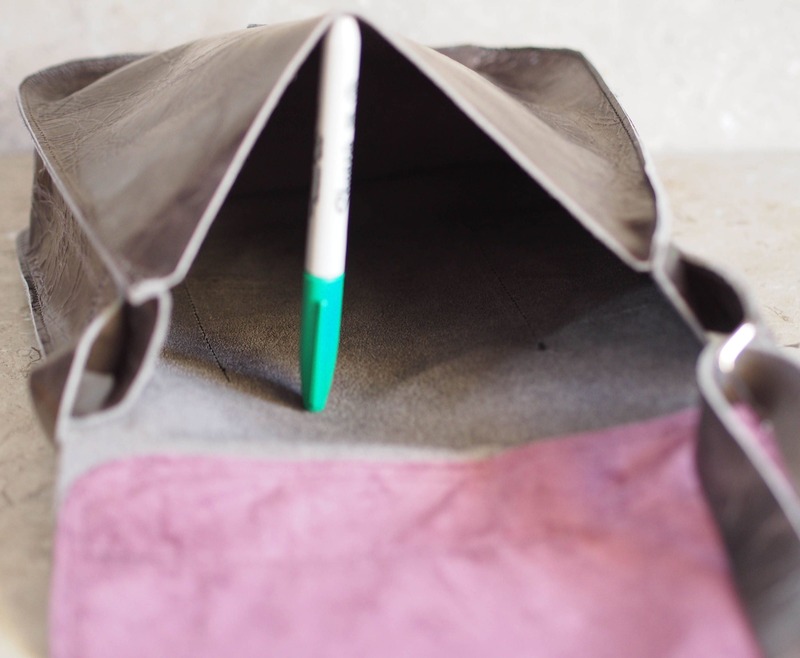 The 1" wide strap is sewn down on either end to the bag gusset, and one side has a nickel loop so that it can be adjusted easily with the nickel slider. 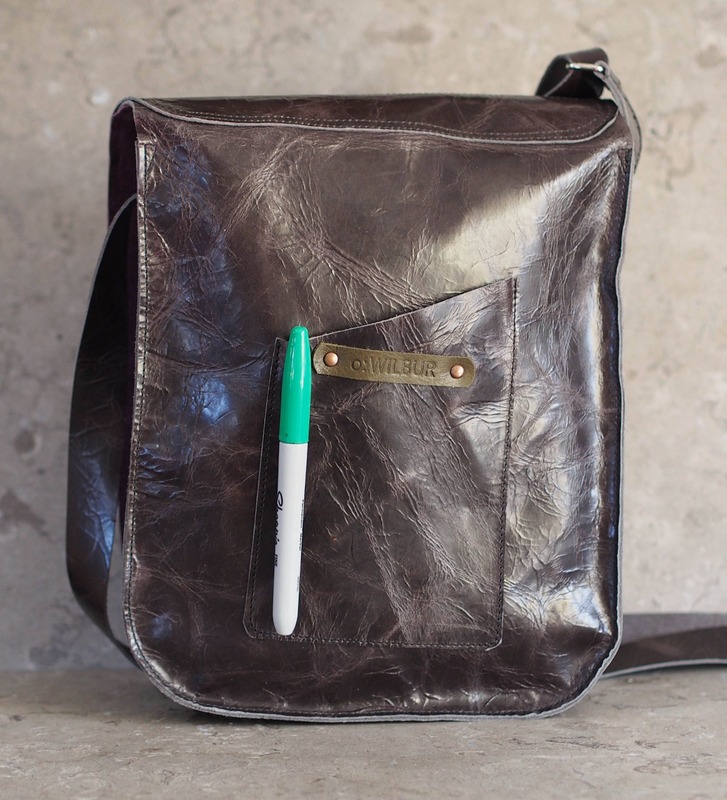 The length can be set from approximately 36" to 70" to accommodate most as either single shoulder or cross-body wear. 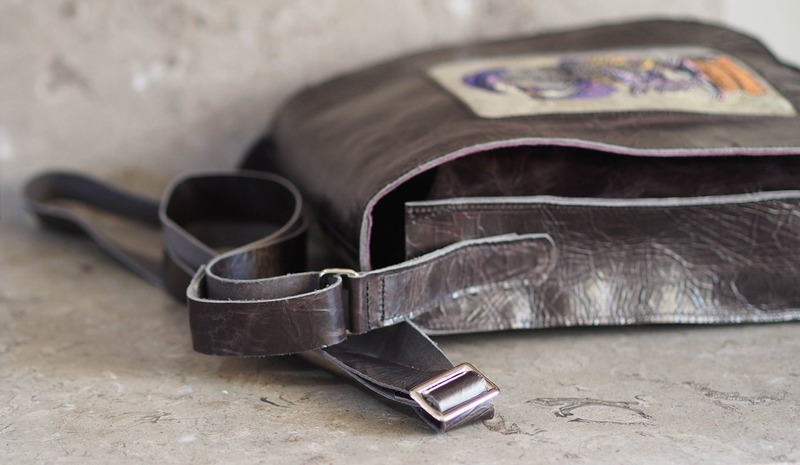 Note that I have branded this bag for my "o:WILBUR" line, but it is all still hand crafted by myself.